As part of PTCMW's partnership with SIOP to support their conference in National Harbor, we are passing along the following information. The following events are available for sponsorship at the conference. A full-color ad (3” x 2”) on the cover of the schedule-at-a-glance publication as well as the use of your logo on an inside page. Logo on front facing panel atop a charging unit with 12 locking compartments to keep devices safe during the charging process. This locker will be located next to the busy Committee Zone in the Exhibit Hall. Be thanked by many grateful attendees! The Committee on Division/APA Relations is pleased to announce its call for nominations for three-year terms, starting January 1, 2020. Two positions are available. Each division is invited to submit one nomination for two January 1, 2020 to December 31, 2022 positions. Nominees should be past division executive officers or active division leaders with significant governance experience, including committee and task force chairs. The committee is always open to early career psychologist candidates who meet the criteria. There shall be a Committee on Division/APA Relations (CODAPAR) which shall be generally concerned with the mutual involvement of divisions and APA in fostering psychology as a science, as a profession, and as a means of promoting human welfare and shall: (1) serve an advisory function to the Division Services Office and Chief Executive Officer on the mutual implication and impact of activities of APA and divisions: (2) provide leadership to facilitate coordination and communication among divisions and between divisions and APA; (3) make proposals to enhance structural, functional, and policy relations between APA and divisions; (4) plan and host the Division Leadership Conference; (5) provide leadership in developing training programs for division officers at the Division Leadership Conference, the APA annual meeting, or other such forums, to enhance the functioning and benefits offered by divisions and the diversity of the Association's members; and (6) act as a facilitator in resolution of disputes among divisions. CODAPAR shall consist of six members, each serving a three year term, and shall report to Council through the Board of Directors. At least one member of CODAPAR shall be an early career psychologist. Two new members of CODAPAR will be appointed annually. Nominations will be solicited from divisions, with each division invited to submit a nominee for CODAPAR. Eligible nominees are APA members who are or have been divisional officers, board members or have had significant governance experience within or across divisions. Upon receipt of division nominations, CODAPAR will submit to the Board of Directors a listing of nominees along with its recommendation for achieving balance in representation of the broad interests of divisions as designated in defined slates. An additional goal shall be to achieve diversity among CODAPAR members by striving to obtain gender balance and at least one member from underrepresented groups. The Board of Directors will appoint two new members annually from the slates submitted by CODAPAR. Please acquaint your nominee with the time commitment associated with service on CODAPAR. In recent years, CODAPAR has met in-person at least twice per year, and has undertaken other committee business through electronic meetings. The first in-person meeting takes place immediately before the Division Leadership Conference in January, and then CODAPAR members participate in the entire conference as presenters and facilitators. The second meeting is held in conjunction with the Spring Consolidated Meetings. CODAPAR sometimes meets at the APA Annual Convention (although this is not required). A fourth meeting was typically held in conjunction with the Fall Consolidated Meetings of APA committees, but in 2018 this work was managed through several electronic meetings held throughout fall. In addition, the committee will, on an ongoing basis, work virtually to handle projects related to its mission. Participate in at least two in-person meetings each year. Participate in at least one 60 minute virtual meeting each month (via Skype, conference call and/or another virtual meeting technology). This requires access to a computer with a modern web browser. Additionally, access to a computer with a webcam is preferred. Respond to email correspondence between in-person and virtual meetings. The APA Board of Directors appoints members to CODAPAR based on the slates recommended by the current committee. CODAPAR makes every effort to select slates that reflect the full range of divisional interests and seeks nominations that will ensure representation of all divisions. CODAPAR pays considerable attention to nominations that will ensure diverse representation on the Committee, including gender, sexual orientation, ethnic, racial and cultural minority status. Divisions submitting a nomination should state the nominee’s particular qualifications and interest in the position on the Nomination Form and include a vita for your nominee. Nominations are due to CODAPAR Staff Liaison, Christine Tipton, ctipton@apa.org no later than March 15, 2019. The American Psychological Association is seeking nominations for various board and committee positions. If you are an APA member and interested in serving on an APA board or committee, please feel free to reach out to me: President.PTCMW@gmail.com. The Ethics Committee is also seeking a public member (non-psychologist). If you know anyone who would be a good candidate, please submit their name and contact information. You can also submit nominiations directly at: http://apps.apa.org/nominations/Default.aspx. PTCMW is pleased to congratulate the winners of the elections for 2019 board positions. These new board members join Lorin Mueller (2019 President) and Josh Isaacson (2019 Past-President) as the PTCMW leadership for 2019. IPAC Call for Proposals Now Open! 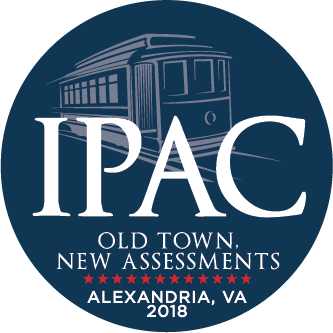 The IPAC Call for Proposals is now open through January 6, 2019! Session formats include symposia, panel discussions, debates, roundtables, tutorials, paper presentations, and student posters. Be sure to submit some of the great work you are doing! And, please share the Call for Proposals within your network and on your social media channels. Conference registration details will be announced soon. We look forward to seeing you at the 2019 IPAC Conference, July 14-17 in Minneapolis, MN! If you have questions, please contact the Conference Program Committee at program@ipacweb.org. PTCMW Fall Event Sponsors Needed! On November 5, 2018, PTCMW will host our annual Fall Event. This event will feature a panel presentation on the future of assessments by Dave Dorsey (HumRRO), Liberty Munson (Microsoft), and Seymour Adler (AON). Following the presentation, we will hold a Talent & Connection Networking Event. This networking event is a great opportunity to connect with local I/O talent and get to know what other organizations in the area are working on. To make this event a success we need sponsors like your organization to come and participate! Spots fill up quickly and they are all on a first come first served basis. Click here to see the flyer for details on the Fall Event sponsorship tiers (Platinum, Gold, Silver, Bronze). What we need from you: Please e-mail your choice and any questions to the President of PTCMW at president.ptcmw@gmail.com . Remember this is first come first served! We look forward to another successful Fall Event and hope to see you in just a few months! The Personnel Testing Council of Metropolitan Washington (PTCMW) Service Award recognizes individuals for their service to PTCMW and support in achieving the goals and mission of PTCMW. Established in 1977, PTCMW and its members seek to advance the science and practice of I-O psychology and related fields through high-value professional growth and networking opportunities. Connecting with other I-O Psychologists, sharing the latest research and applied approaches, and growing as a professional are what members expect of PTCMW. Individuals nominated for this award should most nearly emulate and provide support for the tenets that PTCMW was founded on. The award is given to individuals who have volunteered significant time to further the goals of PTCMW as a member of PTCMW. These activities may include (but are not limited to): serving as a member of the PTCMW board or as a PTCMW committee member or volunteer, presenting at PTCMW events, or otherwise exchanging ideas and best practices with members of the PTCMW community. Nominees do not need to be a current member of PTCMW. Thank you for your contribution in helping recognize people for their service to PTCMW and the I-O community. Submissions for this award should specifically explain how the nominee has met the criteria listed above. Please click on the link at the bottom of the page to download the nomination form. The name, telephone number, and e-mail address of the person who prepared the nomination (if different from b. above). Listing of PTCMW board and/or committee positions held, PTCMW event participation, and general impact to PTCMW and the I-O community. Please provide as much pertinent information as possible. It is advisable to include information regarding the results of the nominee's contribution(s) and actions, as well as a description of the contribution itself. PTCMW is pleased to report another wonderful year in 2017, our 40th year offering professional development and networking opportunities for I/O professionals in the DC area and nationwide! We continued to have a healthy budget thanks to our supportive sponsors and member participation. As a non-profit organization, our funds are always used to support new ventures and continue to bring in high quality speakers at our monthly events. Below is a snapshot of the health of our organization, followed by a summary of 2017 actuals and 2018 budget. As shown below, PTCMW has planned a 2018 budget in line with the actuals from 2017. Note that—due to the comfortable amount that we have in assets ($47,204)—we have planned investments in our organization that result in a slight loss (in 2017 and 2018). We reevaluate this target each year. In 2017 we continued hosting monthly events at McCormick and Schmick’s in Crystal City. Our paid events tend to be a near break-even for the budget. In 2017 we also offered several events free to members, including a Speed Networking event and a joint PTCMW/SIOP Reception. The 2017 Graduate Student Consulting Competition, sponsored by PDRI, had yet again a strong showing of students working together to solve a real organizational challenge. The event provides participants with a realistic job preview, an expanded professional network, and an opportunity to enhance their communication and consulting skills. We had 17 students register for the competition, working in teams to develop a proposal and presentation. We offered an award of $2,000 (split among the first and second place team members) and continue to be impressed with the caliber of our competitors each year – this money is well-deserved! The event sponsor covers meeting costs, therefore the only costs PTCMW incurs are the prize and the happy hour for participants. Our largest source of income (and expenses) each year is the Fall Event, and George Washington University continued to be a hospitable and convenient location. As has been the case each year, the event was a success, with an impressive panel of speakers, strong support from our sponsoring organizations (our largest sponsorship year to date!) and participating government agencies, and invaluable opportunities to network and win prizes. We even had an additional gold sponsor this year, which meant we handed out four iPads to lucky raffle winners. Other Income: Our largest membership gain during the year is during the fall, when we pair Fall Event registration with membership dues. However, we do have steady membership growth during the year, and this is a modest source of income for PTCMW. Other Costs: You may have noticed that in 2017 we made some website improvements in the name of rebranding and better organization of information. (Visit our site to see how they turned out! http://www.ptcmw.org/) In 2017, one of the membership benefits we offered was free entry, food, and drinks at our PTCMW 40th Anniversary member event. The event was a huge success, with nearly 100 attendees. We also incurred standard professional organization expenses such as our mailbox and Adobe Systems software for our newsletter. Lastly, PTCMW is thankful for our strong support from partners each year, and we continue to support these partnerships through contributions to conferences and awards. Currently, we contribute each year to the IPAC conference and Stephen E. Bemis Award. In 2018, we are expecting another strong year. We will continue to hold monthly meetings, with at least seven of those being paid. We also plan to hold one workshop event in the summer, which has a slightly higher registration cost due to the extended format. By periodically offering attendance/membership bundles, we aim to convert new faces into long-term members. We look forward to the same level of participation in the 2018 Graduate Student Consulting Competition, and will again reward the winning teams with a healthy prize of $2,000 to split. We have already begun initial planning for the 2018 Fall Event, and as always the event will include high quality presentations, food and beverages, and plenty of PTCMW gear to get you through the year. In 2018, we expect other recurring costs but have not planned any significant new expenses. Feel free to email me with any comments or questions about the budget at treasurer.ptcmw@gmail.com. We are always open to considering alternative event locations that may be even more convenient for members and cost-effective for PTCMW. If you have suggestions for event improvements, please email our Vice President, Gee Rege (vp.ptcmw@gmail.com). If your organization would like to partner with us on future monthly meetings or workshops, please reach out to me for more information on sponsorship opportunities. IPAC is the leading organization of applied HR selection and assessment professionals, with members actively engaged in practice, research, and training to meet the needs of both public and private-sector organizations. Visit www.ipacweb.org/2018IPAC to view the call for proposals—open November 8 through December 22, 2017. Session formats include symposia, panel discussions, debates, roundtables, tutorials, paper presentations, and student posters. If you have questions, please contact the conference committee at conference@ipacweb.org. The Organization Development - Culture and Engagement Team at PepsiCo is looking to investigate the current and future trends of organizational surveys. PepsiCo is administering a series of benchmark surveys that cover various survey components, to better understand the current and future state of organizational surveys. PepsiCo is seeking input from professionals who are heavily involved in the design, implementation, and/or analysis of surveys within an organization. This survey should take about 25 minutes to complete. It has been requested that only one respondent per company complete this survey. Feel free to share this link with other professionals in the organizational survey space. This is a snowball sampling approach with the goal to have as many survey practitioners and experts to participate. Please submit your responses by November 22, 2017. Please note: While this post is on behalf of PepsiCo, the results will be presented to PTC members in the spring. Additionally, PepsiCo’s commitment is to summarize and share aggregate results with all respondents who provide their email address in the survey. If you have any questions/input, feel free to send an email to: surveys@pepsico.com. This survey is not affiliated with any organization other than PepsiCo. Results are being gathered for research purposes and to help shape our survey strategies. All responses will be held in confidence. PepsiCo’s Culture and Engagement Team thanks you in advance for your input!